We have a team of dedicated Registered Massage Therapists (RMTs) and health professionals to help you achieve your goal of a balanced wellness routine. Our goal is simple: to help you relax, heal, and regain your health. A River Stone massage is a unique blend of targeted therapeutic massage combined with luxurious extras. Our massage therapists customize each massage to meet your specific immediate needs as well as a long-term wellness plan. River Stone massages always include hot towel service and luxurious bodycare products. Be sure to check out our enhancements and targeted pain release therapies as you’ll want to add these extra 15-minutes of therapy to your regular massage. Each of the rooms in our state-of-the-art south Edmonton massage therapy clinic is equipped with heated hydraulic tables, towel warmers, hot stone warmers, and a range of therapeutic and luxurious products for your treatment. Our highly trained Registered Massage Therapists attend to your therapeutic needs while providing a soothing, spa-like experience. A note to everyone who is looking to book… many days book up quickly—especially the weekends—so please make sure you call us well in advance to get your preferred time. Please note: We can longer accept WaySpa and SpaFinder gift certificates. We do require a credit card to be on file to secure your booking. We do not charge your massage visit to this card. The information is simply because when we have a booking and our staff is ready and waiting, a no-show is a major disruption to our day. Thus, we reserve the right to charge for missed appointments. If you cannot give us a credit card we can also accept a $50 e-transfer deposit. Please read our cancellation policy for more details. The therapies at River Stone Massage & Wellness Centre directly address what’s known as allostatic load. Allostatic load is the physiological consequences of exposure to repeated or chronic stress. We aim to reverse these physiological changes, and ultimately reset the ability to cope with stress. Energy levels will increase dramatically once your body is in balance and the allostatic load is relieved. This is the aim of River Stone Massage Therapy & Wellness Centre’s integrative approach to wellness. When you call to book your massage, we can discuss your specific health needs, and pair you with a Registered Massage Therapist who meets your unique therapeutic needs. Our fully trained RMT’s ensure that you are comfortable at all stages of your massage treatment. This includes an initial private consultation to discuss your health and massage therapy needs. After your massage, your therapist will recommend a treatment course that will include a maintenance program, and mild stretches you can do at home to prolong the effects of your massage therapy treatment. In Alberta, in order to be a Registered Massage Therapist, you must have 2200 hours of training. Registered Massage Therapists in Alberta are considered Health Care Professionals capable of supporting your health and well-being. Each of our RMT’s carries a Health Practitioners Licence from the City of Edmonton. Since Registered Massage Therapy is a certified health practice in Canada, your treatment with us may be billed to your health insurance provider. Most health insurance plans will cover some or all of your treatment cost. To simplify the claims process, we offer direct billing as a complimentary service. Although we try to direct bill for every client with benefits, please understand that sometimes the claims submissions are not accepted, and this is beyond our control. In addition, please be aware that Great-West does not allow direct billing on Sundays, although we can submit the claim to pay to you. As well, Desjardins only pays to the member, but likewise, we can submit the claim for you. To initiate direct billing services at River Stone Massage & Wellness Centre, be sure to bring your Alberta Health Care card and your health care insurance provider information, ie. your insurance benefits card. Our friendly reception staff will take your information upon your arrival and will process your claim during your treatment, relieving you of the hassle of submitting documentation to your insurance provider. Let’s face it, accidents happen. If you’ve been injured in a car accident, come and see either our Chiropractor or our Physiotherapist for an assessment. 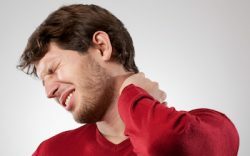 They will provide a detailed treatment plan to help you recover from your injuries. Our reception staff communicates with your insurance company and tracks your claim for you. We find that most people like to call us directly for their first appointment. We are happy to answer your questions in person as it helps us to determine your specific therapeutic needs and pair you with a suitable massage therapist. 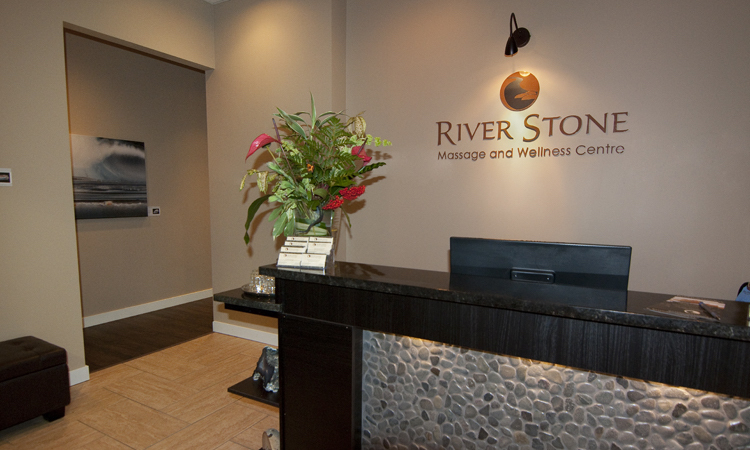 We believe that our RMT’s play an important part in your health and wellness routine, and we are confident that you’ll find a Therapist at River Stone that meets your highest expectations for massage therapy. Appointments can also be made online, or by using our River Stone Massage Therapy & Wellness Centre app on your telephone. Our south Edmonton massage therapy clinic is located in Magrath. We’ve designed the massage clinic to be a beautiful space providing a little oasis of peace and calm amidst the busy urban lifestyle. Busy lifestyles mean that many people may be overworked and desperately in need of relaxation. Whether you are looking for treatment for specific medical concerns, or just to relax and unwind, we personalize every massage to meet your needs. We offer health, harmony, and balance through massage, and we are certain that our therapies will become part of your regular wellness practice. Skip the hassle of submitting receipts to insurance companies—we have convenient and simple direct billing. Use our online booking system to book your next treatment with us.